A wider perspective on the pay gap. Why and how to close it. As a student of law and political sciences, I used to think that gender inequality was almost an obvious issue for most of my friends, family and acquaintances. Beyond that, I thought -or wanted to think- that everyone understood the urgency to solve it. Of course, I’ve always known that there are still a lot of misogynist ideas and also femicides are becoming something common in the news, but now that I have the opportunity to get out of my student context, I’ve noticed a huge lack of information and a bunch of “traditional” ideas about the personal and professional development of women. One of the biggest obstacles to reach gender equality and equity is the gender pay gap. This is a problem by itself, but it is also important to mention that there’s still some rejection of its existence. According to Ellevest, a woman-focused online investing platform, only 61 percent of American men believe that men earn more than women for doing the same job. So, what is the gender pay gap? why does it happen and most importantly, how can we close it? The gender pay gap is the difference between what men and women are paid. It refers to the median annual pay of all women who work full time and year-round, compared to the pay of a similar cohort of men — The American Association of University Women. 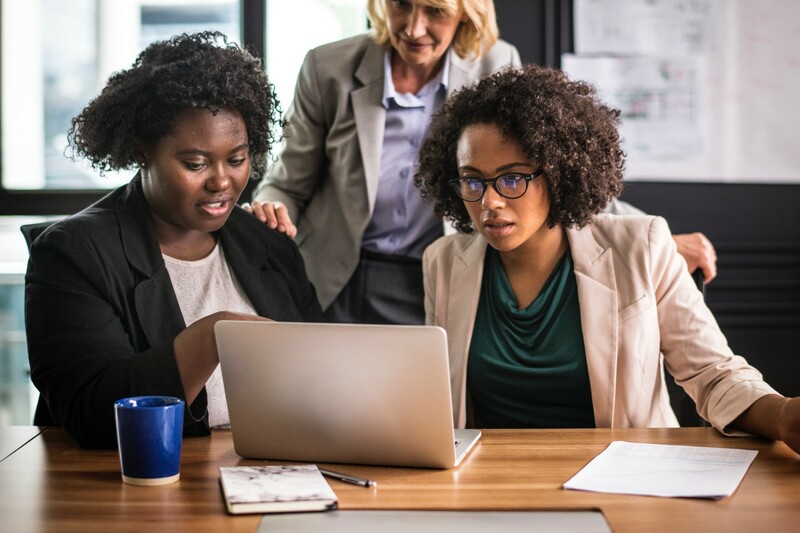 It is true that the gender pay gap partly occurs because of discrimination for just being a woman; however, it has more implications if the woman is black or hispanic. The Institute for Women’s Policy Research says that if change continues at the same slow pace as it has done for the past fifty years, it will take 41 years — or until 2059 — for women to finally reach pay parity, but this is just for white women. The rate of change for Hispanic women indicates that they will have to wait until 2224 and Black women will wait until 2119 for equal pay. These numbers change by country and by city, but in general terms, nowadays, women are paid approximately 20 percent less than men across the world as stated by the International Labour Organization. 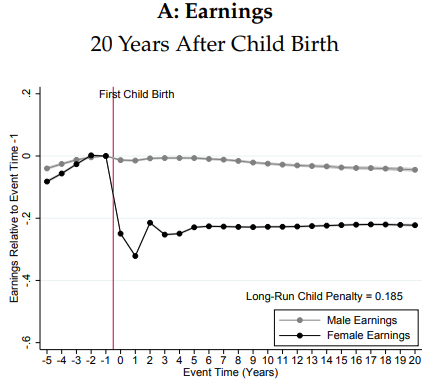 Discrimination is one of the reasons for the existence of the gender pay gap, but perhaps, the most significant explanation could be maternity. Let’s think about a couple who has the same job and degree. When both partners decide to have a child, she doesn’t have many options left, she has to take a break at least for the last 2 weeks before labor and another 3 weeks after, depending on the State. After she gives birth, she will probably start taking more leaves of absence if the kid gets sick or if she has to go to the child’s school. If a job offer is presented to her, she will probably decline it and she will think about a part-time job to stay at home with her baby. While this happens to her, her male partner is thriving and being constant at work, he is receiving new job offers and being offered promotions. This is the scenario that most working women face. Now, this proves that these differences are mostly a product of maternity and not just for being a woman. In the next comparison, as we can see, maternity is a major causal of a recession in women’s career. It’s important to mention that this is not about hating maternity and being forced to choose between our career and raising children (which now, it is). This is just evidence that shows the inequalities that most women have to face, but through information, we can become more analytical and come up with solutions. How can we close the gap? The biggest goal in this matter is to reduce this by 30% and to make maternity and paternity something that involves both genders equally. There are some Nordic countries which have contributed to this purpose. Most of them have the longest employment leaves, which mothers and fathers are obligated to take, in order to help remove the burden of childrearing from mothers. Also, companies don’t have preferences between choosing men or women, since both of them take an equal break from work if they decide to have kids. Another way to fight the gender pay gap which is focused on supervision of companies is an initiative from Iceland, where companies with more than 25 employees need to get a certification to prove that they offer equal pay for work of equal value. I believe that even when the law is not equal for both genders in terms of employment leaves and childhood rearing, it is necessary to change the culture or the presumption that women must be the ones to look after the kids. Women shouldn’t be forced to choose between having a family and furthering their career. There are still many problems around equity for both genders, not only in payment terms but also in cultural, social and educational ones. I’m not assuming that this will be the solution to reduce violence against women or that this will bring more opportunities for them to grow. I just think that it’s important to have some ideas based on research or data and to spread them so that we get involved in public issues and become critical of government’s decisions.